“Uncle Jane” by Claudia I. Yes, it’s another truly spectacular Dear Jane quilt. Claudia persevered for ten years. 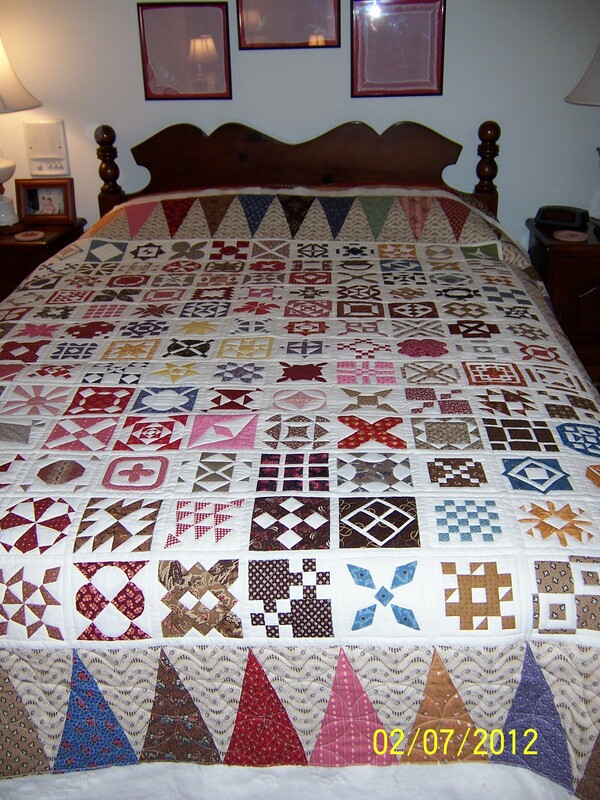 Once the center 169 blocks were finished, she created her own border for the quilt. I quilted the border with an orange peel design. She chose to use a plain muslin back for the quilt. That strikes fear in the heart of a longarm quilter, because sometimes the back is not as pretty as the front. 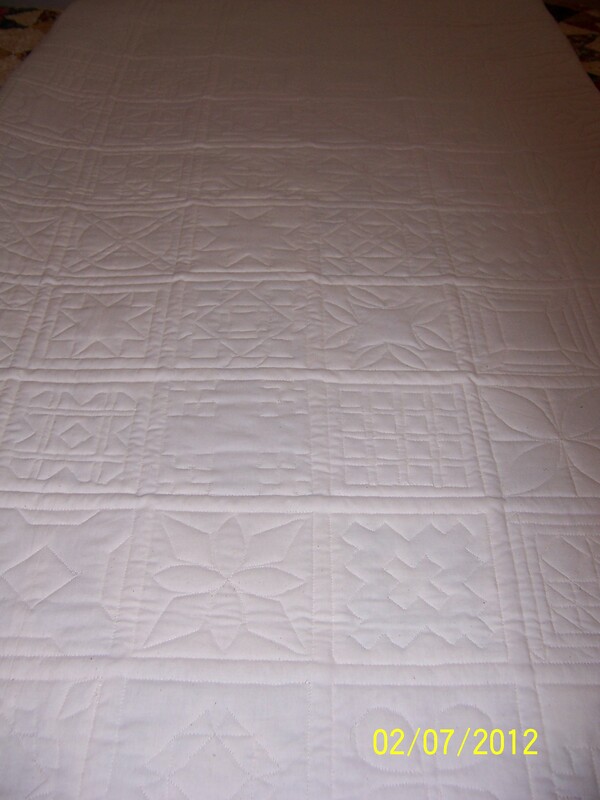 I agreed with Claudia that the back would show the shape of the quilted blocks. 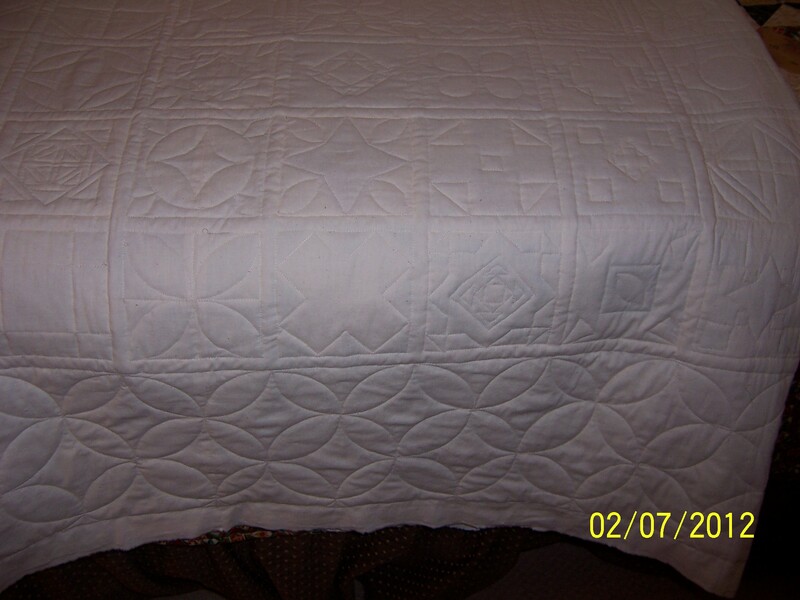 The designs show beautifully on the back, a pretty “wholecloth” quilt. So, Claudia calls this Uncle because after making the blocks other quilts were demanding to be made. Sometimes quilts just tell you when they are finished and that its time to move on. 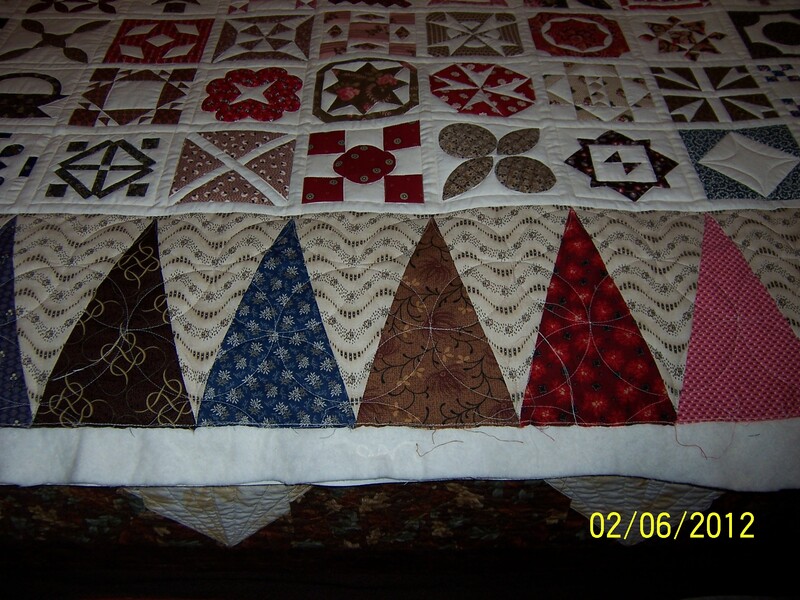 After quilting two Dear Janes in a row, I’m crying Uncle myself, until the next one! It’s such an honor to be asked to be a part of these treasures. You did an awesome job on the quilting! Thanks so much. I truly enjoyed the challenge each block brought…putting the blocks together was another story. I wish I could find the fabric I bought for the binding; it’s in my studio somewhere safe!